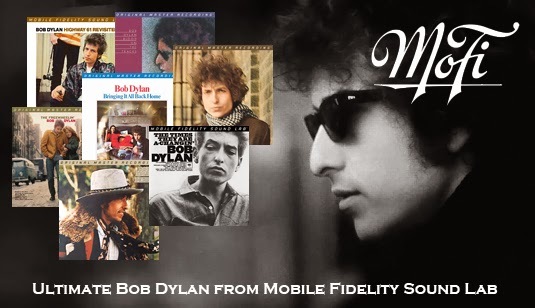 Mobile Fidelity Sound Lab recently acquired the rights to restore and reissue the catalog of two of the major icons of American Music and the World, nothing less than Bob Dylan, the most famous folk rock artist of his generation and maybe of all time, and the giant Miles Davis who basically defined Jazz since the 50s/60s impacting several music styles even today. 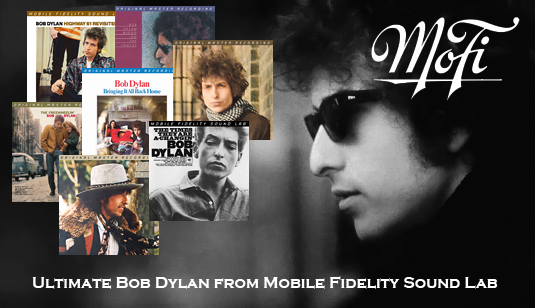 Those who love music must have these two artists very well represented in their record collections, and above all, it's unforgivable to pass on this unique opportunity that MFSL is giving us to have these masterpieces from these geniuses playing in our homes with the best sound quality ever and on the best audio format in the world. Meticulous productions, 100% analog from the microphone sound capture, to the actual recording, editing, mixing, mastering and to the final pressing, from the best sources available today and in accordance with the highest audiophile quality standards and excellent taste, pressed in the best vinyl pressing plant in the USA and presented in lavish, deluxe covers with thick and reinforced card stock and impeccable artwork and graphic design, these are what I call a gift from MFSL to all music lovers and passionate audiophiles worldwide, a gift that cannot be wasted and that we'll probably never see again with such perfect production and pressing. The level of resolution, clarity, frequency extension, dynamic range, transient intensity and speed, are absolutely fantastic, with presence and immediacy that result in a the extremely realistic sound presentation of a wide, deep, holographic sound stage that only a great all analog mastering can provide, and achieves this with tonal correction and timbre accuracy that allows complete transparency and an umbilical connection to the musical source making these two reissues programs from Mobile Fidelity Sound Lab something really exceptional and unique. 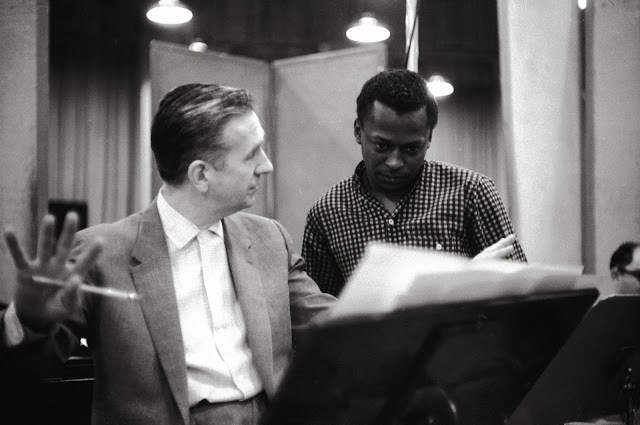 We are talking about Bob Dylan and Miles Davis... so, about the music and the impact of these two artists on modern music, on our society and civilization, there isn't much more to say, they are two huge parts of our culture, two giants, true geniuses who revolutionized our world. 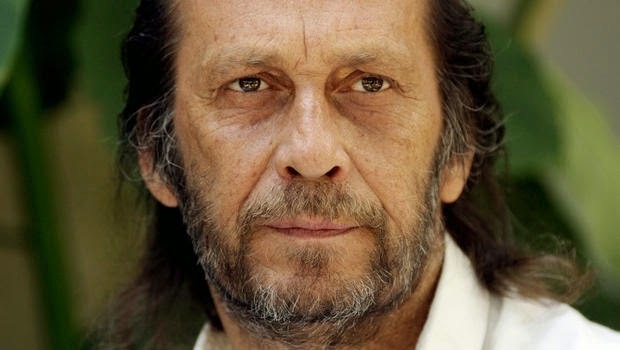 Paco de Lucia passed away in February 2014 aged 66, victim of a heart attack. 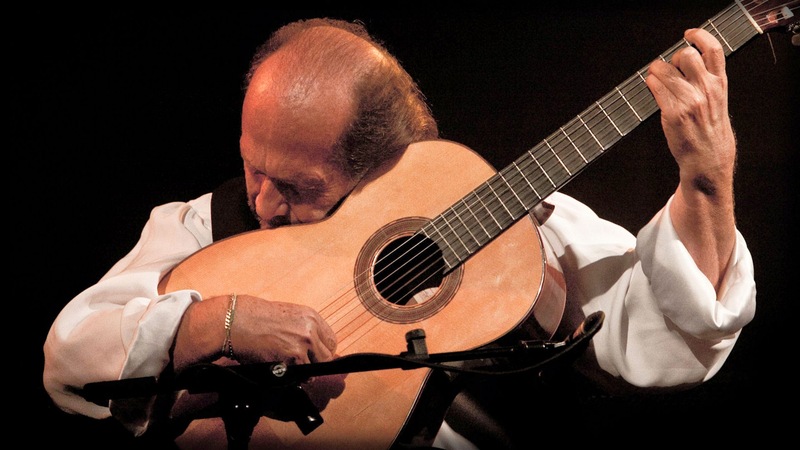 This was a very sad moment, we never want to see our idols go so soon, and Paco de Lucia was one of the most important names in Flamenco Music that he helped bring to a much wider audience, but not just that, he was an icon of sheer creativity and virtuosity for many musical quadrants ranging from Jazz to Classical Music. For me, when I was a young teenager his name translated to something like "incredible guitar magic", and some of my fondest memories from listening to music on my father's audio system are from listening to Friday Night in San Francisco and feeling like I was right there in the audience with the performance happening live in front of me. At the time my father had a quite impressive complete Quad 66 separates system with a pair of Quad ESL-63 electrostatic speakers fitted with huge Gradient SW-63 subwoofers and specific cross-over unit, setup in a large windowed room with an amazing view over the Tagus River in Lisbon. What could be more romantic? Quad electrostatics, Lisbon and the Tagus? All music sounded amazing on that system and with that view, but some records made such an impression that they became deeply implanted in my mind and if I close my eyes for a moment I can still relive those moments and regain that sense of "being there" with that particular sound and view, and all those emotions. This is one of my all time favorite records, and yes I admit I've spent most of my young life listening to this incredible performance on CD. Lucky for me, there is no bad sounding version of this recording on any format, it always sounds at least very good. But there was, of course, room for improvement, and this recording considered by many to be the absolute best acoustic guitar live performance ever recorded, certainly deserves the ultimate audiophile treatment. 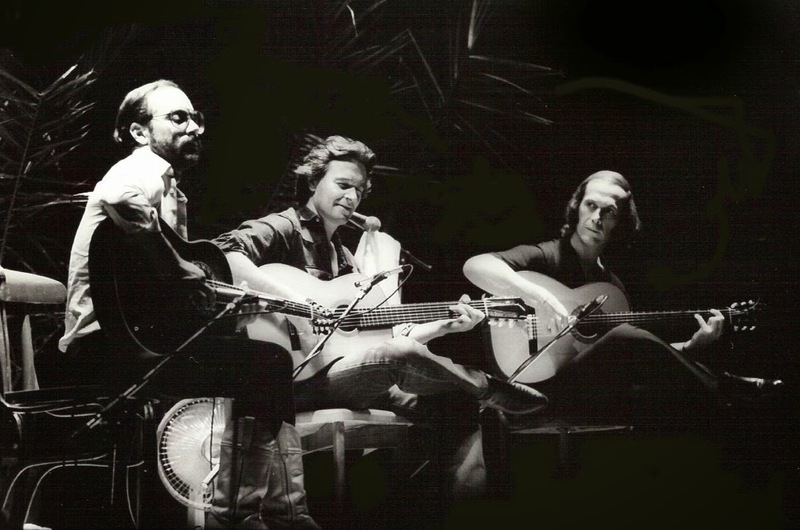 Paco de Lucia was there in San Francisco with legendary guitar players John McLaughlin and Al Di Meola, each of them bringing different influences up on the stage but for me this was always Lucia's night because it sounds to me like his vision infused the musical performance of the group with his particular Flamenco style in a way that makes it his own... and what a night it was! This is pure life and energy, attack and retreat, call and response, audience screams, large scale and micro detail, inventiveness and creativity together with the most unbelievable technical virtuosity, this recording is magic, pure sound illusionism for the soul. 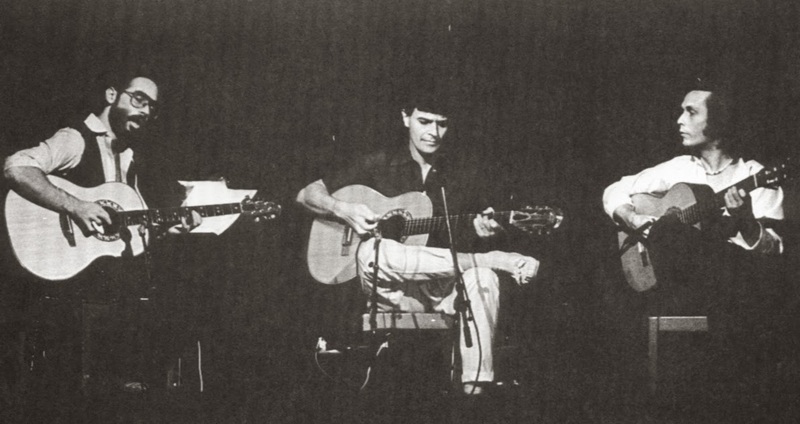 It was described by jazz author and critic Walter Kolosky as "a musical event that could be compared to the Benny Goodman Band's performance at Carnegie Hall in 1938 ... it may be considered the most influential of all live acoustic guitar albums". 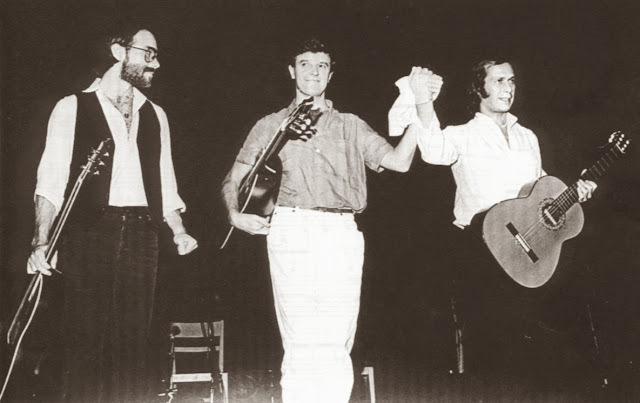 All the tracks except Guardian Angel were recorded live at The Warfield Theatre on 5 December 1980, in San Francisco; Guardian Angel was recorded at Minot Sound, in White Plains, New York. Tonality is very similar to the original mastering of the early 80's, but with massive increase of detail, resolution and transient response. I mean... the enhancement of the presence and energy of the performance is just stunning! The SACD on the other hand is much brighter, the strings actually sound different... It's still good but doesn't quite sound like the same recording. What I think is that they probably tried to pull out more mid-range detail to make it sound more open and show the guitar strings with more tonality, wich is certainly a good intention, however it seems like they really had to mess around with the EQ too much to get close to that ideal, mostly by bumping the upper mids and higher frequencies, and then probably trying to limit the top edge of that bump... so the end result is at least a little strange so I actually preferred the original CD and LP mastering that sound more natural. The guitars flap and sting and scream running percussive driving rhythm with raw power at the edge of the recording capabilities, even the lightest engineering touch can break down the thin layered harmony between them. I'm more than happy with the recording quality, it's been leaving listeners in awe since it was first released and it still does every single time. I find that ORG's approach works wonderfully to enhance it by allowing the ferocity, incredible interplay and true nature of the performance to come through with the highest fidelity that was ever available to the public, providing breathless transient response and stunning stereo imaging to bring this historic live performance right into our homes in all its holographic glory. Basically, ORG focuses on what really matters to improve on the original! Listening to this 45rpm double vinyl LP reissue brings back those late summer nights of the 80's with the Quad ESL-63's and the Tagus river. 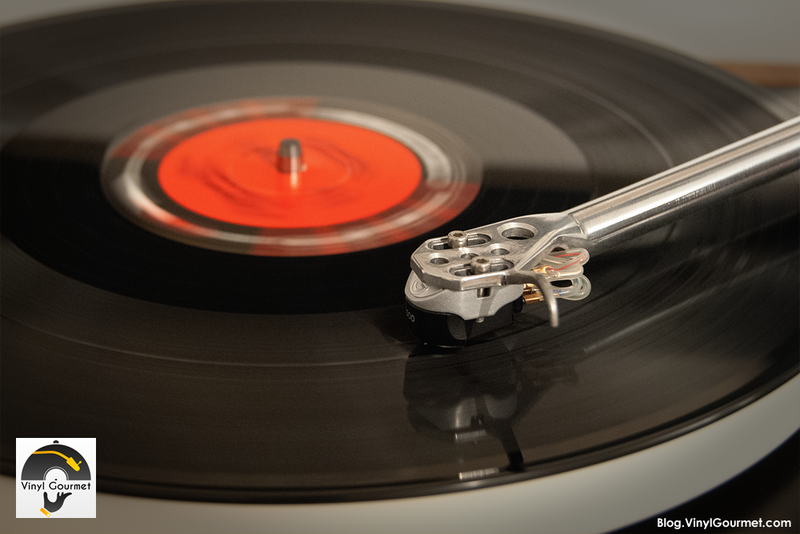 Nothing can replace those special moments and the feelings that listening to music like that imprinted in me and made what I am today... but let me tell you, this reissue raises the bar much higher, put it on the turntable, close the lights, crank the volume up to enjoy the full dynamics and transients, and prepare to be blown away all over again! The night starts with a near 12 minutes medley of "Mediterranean Sundance" and "Rio Ancho" composed by Di Meola and Paco de Lucia, this was to become the most famous and recognizable part of the album, a loose and spontaneous delightful performance. This is followed by Chick Corea's well humored "Short Tales of the Black Forest" and Egberto Gismonti's "Frevo Rasgado" (a personal favorite of mine), closing with "Fantasia Suite" (Di Meola) and the final "Guardian Angel" (McLaughlin) haunting melody. 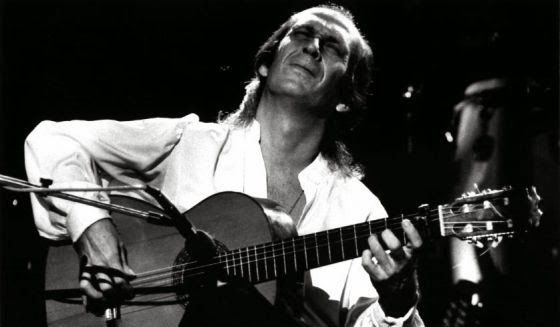 There was no better way to show our respect and pay tribute to Paco de Lucia than to reissue this recording, this night, on such high quality audiophile vinyl. I'm sure that one day, my daughter will be amazed with it, just like I was... this reissue brings back the magic and adds much more to it. You've read it on Blog.VinylGourmet.com ... like our page at Facebook.VinylGourmet.com! 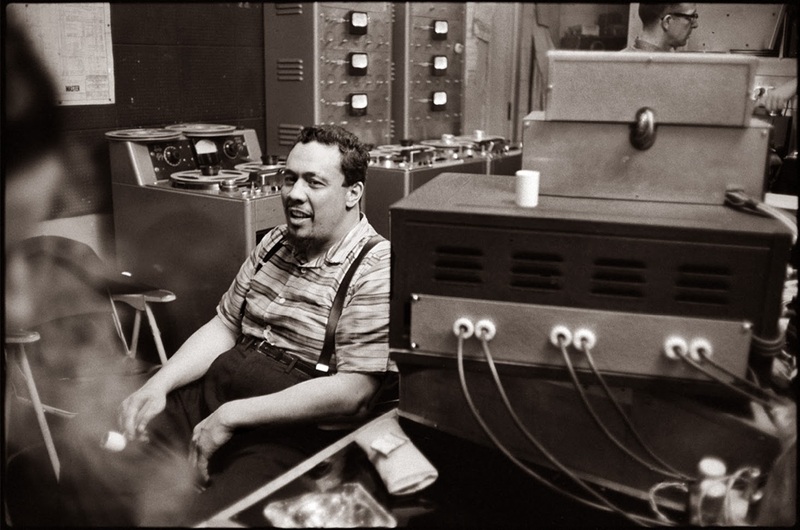 Probably the highest point of the Charles Mingus Jazz Workshop achievements during the 50's, Mingus Ah Um was the first Charles Mingus album for Columbia Records, recorded in New York at Columbia 30th Street Studio in May 1959 and released later that year. Certainly one of the best if not the best Charles Mingus album, this is a wonderfully engineered recording with incredibly powerful and detailed micro and macro dynamics, large holographic sound stage and explosive transients, that perfectly conveys a true musical masterpiece and unsurpassed performance by a group of amazing musicians. This reissue does it justice allowing all of these qualities to come through effortlessly out of the deep dark and silent background, just like the vinyl surface, with incredible and realistic presence served with faithful and natural tonality. You'll suddenly find your room filled with the ghosts of Mingus, Parlan, Ervin and his pairs, as well as the masters he evokes in some of the tracks of this album (Lester Young, Duke Ellington, Jelly Roll Morton), echoing their timeless music in your soul... "Better git it in" there! This double LP cut at 45rpm comes housed in a lovely thick and solid gatefold cover with faithful artwork reproduction that is a pleasure to feel and look at, and it's a limited numbered edition pressed at RTI in the USA expertly mastered from the Original Master Tapes by Bernie Grundman whose vast experience and tasteful engineering options guarantee we listen to the best possible sound. For this review I've extensively compared this new reissue to Bernie Grundman's 1995 cut for the now defunct Classic Records label on 33rpm 200gr vinyl to find out that the new mastering sounds marginally brighter (probably more like the Original Master Tape actually sounds), but the added transient response, tighter and more focused bass and increased dynamic range, all contribute to a much better experience and overall higher fidelity sound presentation. One thing that is really improved on this latest ORG 45rpm reissue is that you can really hear and feel Mingus playing with so much more resolution and focus because the bass now sounds like there are bass strings being played, it's not all over the room with "boomy" effect and diffuse sound. This is mostly the result of the 45rpm cut added clarity and faster transients, and also because Bernie Grundman studio completely renewed and improved its analog mastering chain gear between these two releases, resulting in much increased transparency. A true audiophile delight, this is the type of vinyl release to answer all questions, that makes it all worth while. 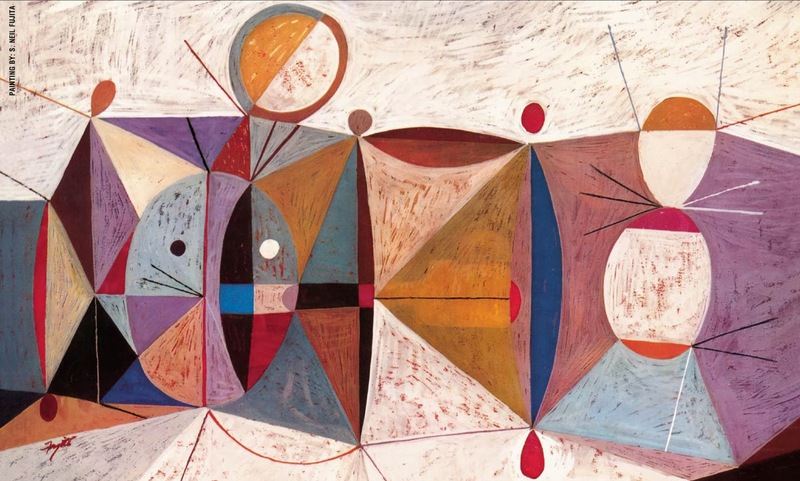 For the music, for the performance, and for this absolutely perfect reissue, Mingus Ah Um is a must have album in any collection and a definitive Vinyl Gourmet Audiophile TOP 100 record. After Kind Of Blue where the last track was "Flamenco Sketches", Miles Davis presented its new album "Sketches Of Spain" in 1960 with arrangements by Gil Evans and now without John Coltrane or Cannonball Adderley besides him, a record that in some ways didn't stray too far from the "Cool" sound characteristic of Miles Davis style at that time but now with the Jazz vein more diluted as this is one of the most representative efforts of the Jazz Fusion genre or the so called Third Stream with its even blending of Jazz, European Classical Musical and World Music elements. 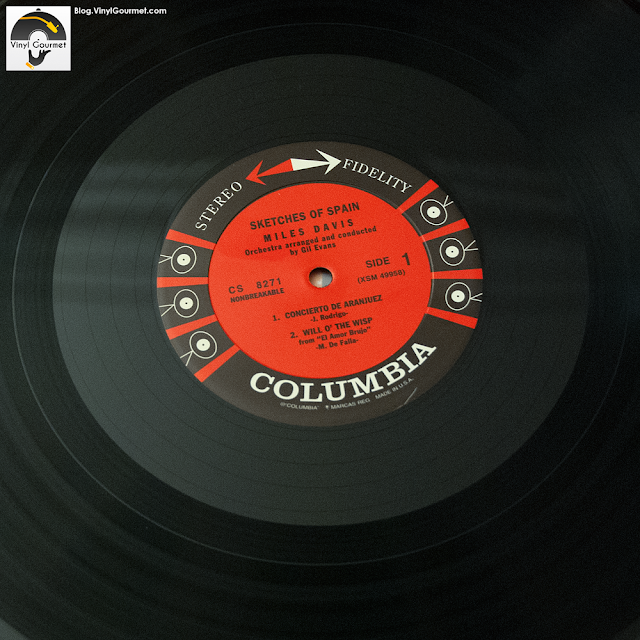 Considered one of the highlights of Miles Davis career, the sound presentation of this masterpiece is different from other more traditional jazz albums, with a larger and deeper than usual sound stage as well as more pronounced ambient sound from the large studio as the result of the orchestral arrangement that we usually associate with Classical Music recordings. There are also unusual instruments being used that we don't usually hear in other Miles Davis albums (or Jazz music in general), as such the peculiarity of this performance brings additional and different challenges to the recording, mixing and mastering of this LP. 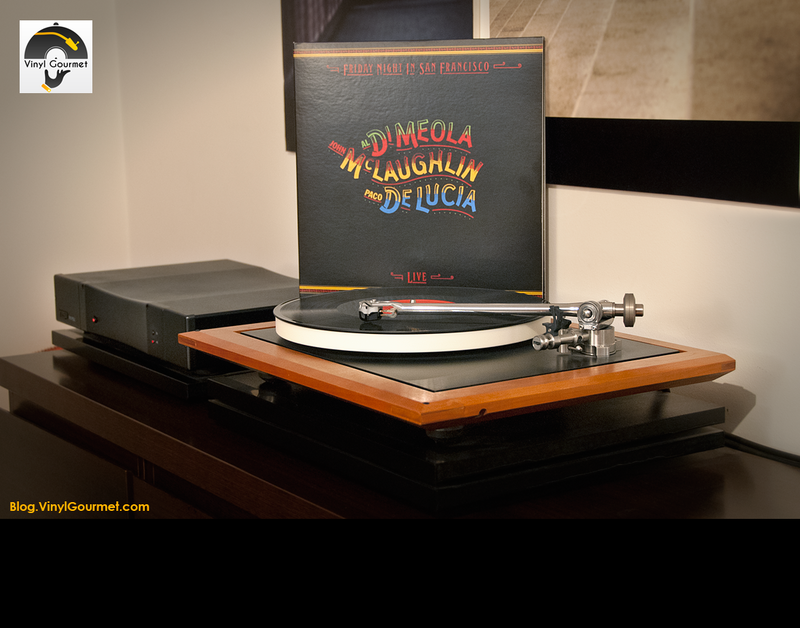 When it comes to analog audiophile releases Sketches Of Spain was reissued by now inactive but still very respected "Classic Records" in 1998, after that there was a long period of darkness with several low quality reissues surfacing in the non-specialized stores coming from labels like Music On Vinyl, WaxTime, Not Now Music or Doxy, in search of easy sales to unknowing customers (who certainly don't read this blog), until now that it is part of the Miles Davis audiophile reissues by Mobile Fidelity Sound Lab. If this one is like the others in this series I'm sure we're in for a treat once again, with superb mastering and pressing of the highest quality standards from the analog Master Tapes approved by Sony. For that reason I've decided to compare these two versions, the previous benchmark "Classic Records 200gr Quiex SV-P Super Vinyl Profile" from 1998 mastered by Bernie Grundman, and the new "Mobile Fidelity Sound Lab Original Master Recording 180gr High Definition Vinyl Half-Speed Mastered on the Gain 2 Ultra Analog System" from 2013 mastered by Krieg Wunderlich and Shawn Britton. Once again MFSL didn't disappoint continuing its amazing work on the Miles Davis reissues, even now being confronted with the high quality Classic Records release and Bernie Grundman's impressive know how, MFSL was again able to bring us Sketches Of Spain with even more clarity and higher resolution in a much more complete sound and musical experience. 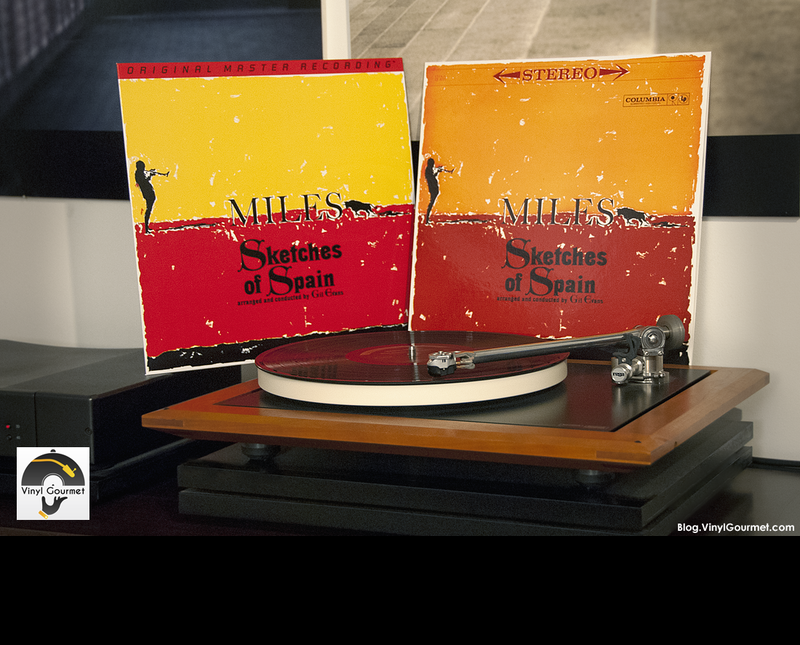 Listening to both these LP's with two different takes on mastering Sketches Of Spain the main difference resides in the slightly more compressed sound of the Classic Records LP that was cut hotter in a way that seems to reduce the overall dynamic range and also affect the scale of the sound stage making the performance sound narrower and with a sonic context that is more typical of a traditional Jazz recording, which in this case because of the peculiarity of the music being played, was probably not the best approach in terms of mastering options. 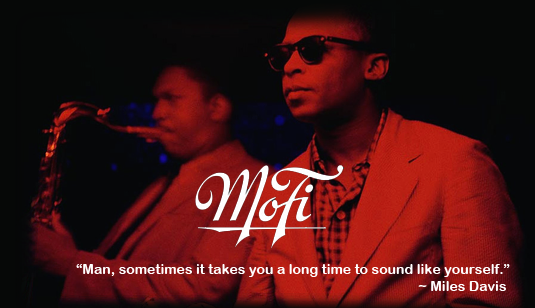 In fact the MFSL version with the dynamics preserved in a more subtle and refined sound presentation makes the ample 30th Studio ambient sound more holographic, with the percussion and even Miles Davis trumpet a little less forward and adequately placed in the overall sound mix as it would be expected for them to sound when integrated in a scenario of a small orchestra in a big studio setting that is larger than the usual Jazz Trio or Quintet. Another advantage of the increased dynamic range on the MFSL version is the way Miles Davis trumpet sounds more natural, rich and expressive, unlike almost all the previous releases where the trumpet sometimes sounds artificial, hard and harsh to the hears causing some discomfort for the listening session (something that certainly didn't feel appropriate to the mood of the music), as well as a much more open and expansive bass that makes for a more realistic representation of the larger scale that is a vital aspect of this recording. 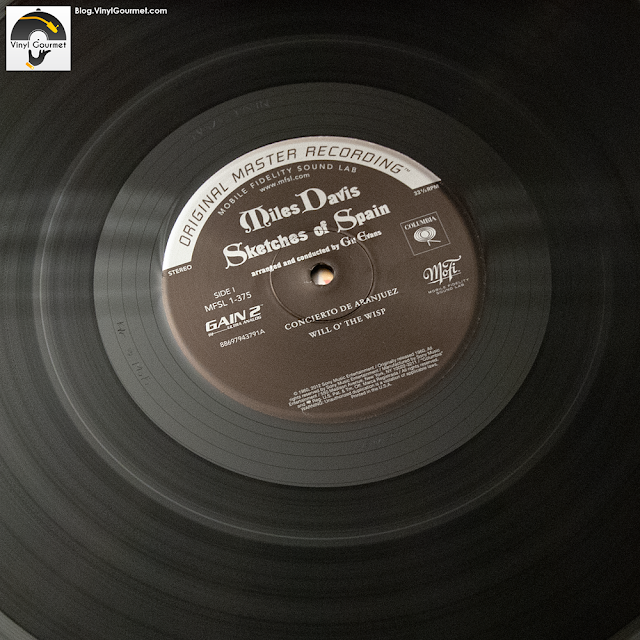 With the Classic Records LP we get a more direct and narrow approach with all the main sounds very much upfront in the presentation, but on the Mobile Fidelity mastering we get Sketches Of Spain in all it's greatness and with all the detail of a varied and complex musical performance where several factors come into play and the main sounds are perfectly integrated and in tune with the spirit of the original recording, and this with increased dynamics and resolution that is deeper, richer and more detailed than ever before. 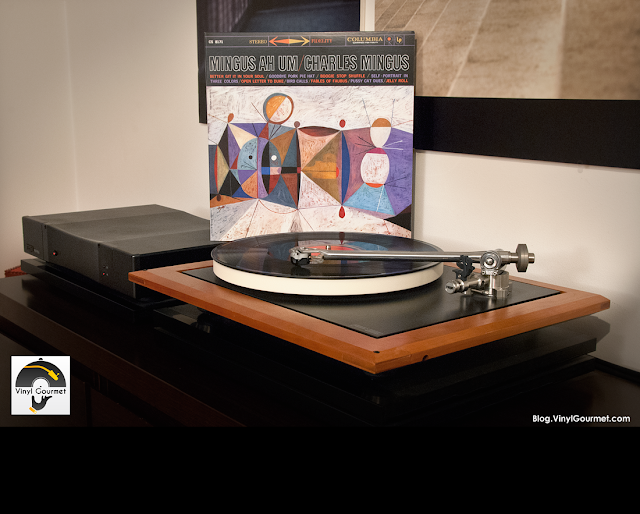 Congratulations to MFSL for bringing us another classic in top shape, this Miles Davis reissues program is a must have for any music lover, these are the very best mastering jobs from the best sources available cut into the best format in the World. Back then someone asked: "But is this jazz?" 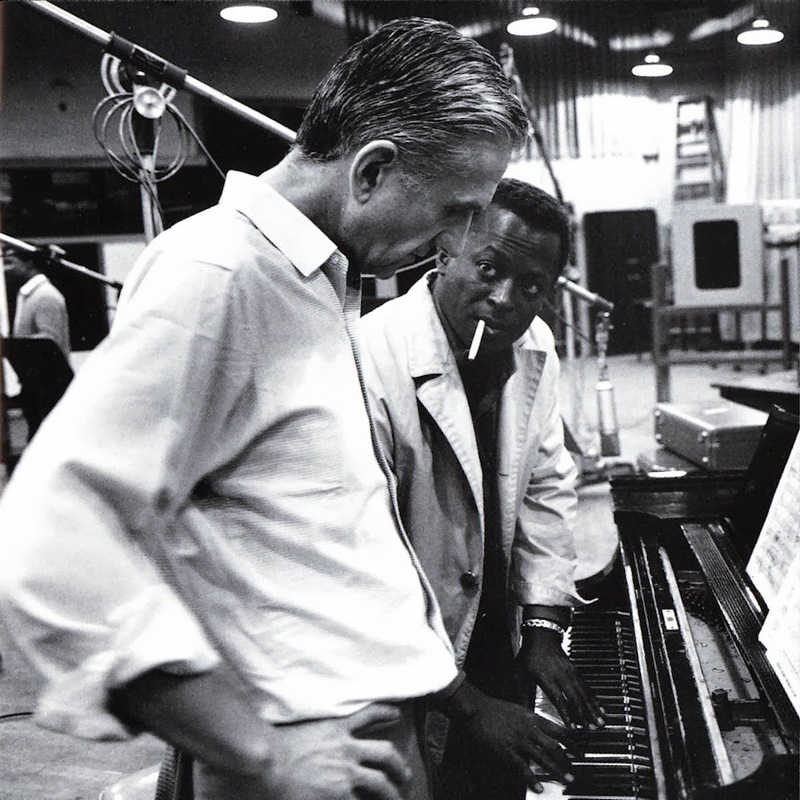 ... Davis replied, "It's music, and I like it." We like it too!